My small family and I made it through another Minnesota winter. 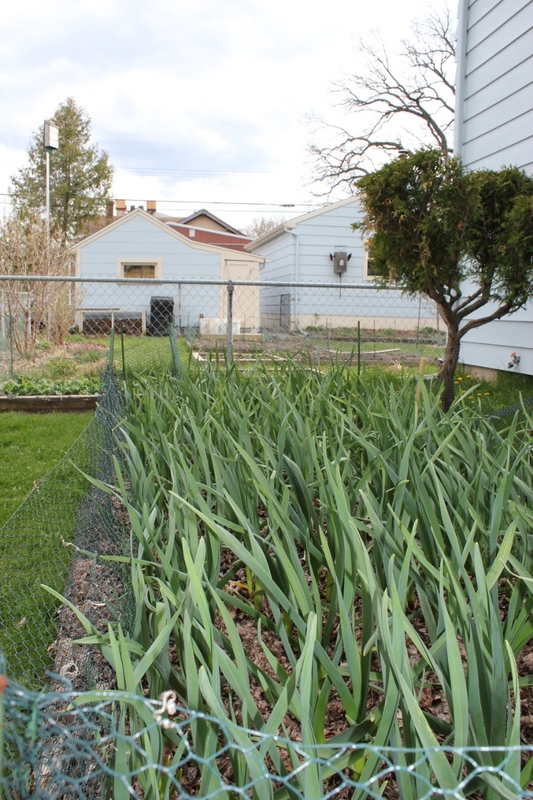 It is now spring, the garlic shoots are up, and the spinach I planted late last fall survived the winter. We are currently eating our first spinach greens, yum! During the winter and early spring 2011 we as a world population have seen and some individualizes have experienced a sea-of-change in the popular uprisings of Egypt and other middle eastern countries. The overthrow and attempts to remove dictators and their autocratic political regimes from power has been inspiring and painful to observe. My own non-logistical emotional-intellectual based political mind interprets these uprisings as a hopeful beginning of a more humanistic future world. However, on the other hand, my pessimism views the extreme exclusivity of the right wing of American politics to be extremely frightening and disturbing, to say the least. In addition, at the end of this winter another major natural disaster devastated the country of Japan. As we know, Japan’s recent earthquake and resulting tsunami destroyed lives, property, infrastructure, and caused the break down of their Fukushima nuclear power plant, which is leaking toxic nuclear radiation. Things are not good for our Japanese brothers and sisters! The radiation from this nuclear power plant is currently negatively effecting the environment, people of Japan, and the world economy. I hope that this will be a wake up call to humanity to seriously consideration establishing a greater use of renewable energy. Again and unfortunately, Americas right-wing politicians are stripping away funding for research and development of the numerous renewable energies our country and world has available. To put it lightly I am not very happy with America politics at the moment! However, I am very excited and proud of the left wing progressive groups that are rapidly organizing via small PAC’s, like Russ Fiengold’s Progressives United (link), MoveOn.org, and others. These groups are fighting hard for human rights, environmental protection, animal safety, and inclusiveness of all living beings of the world. There is hope for our one and only home, planet earth! To end on a personal positive accomplishment, I once again avoided buying a snow blower this winter. Since living in Minnesota, I have on numerous occasions, with every large snow fall to be exact, wanted to purchase one of these space taking, gas guzzling, maintenance heavy, but very useful and effective snow displacing machines. 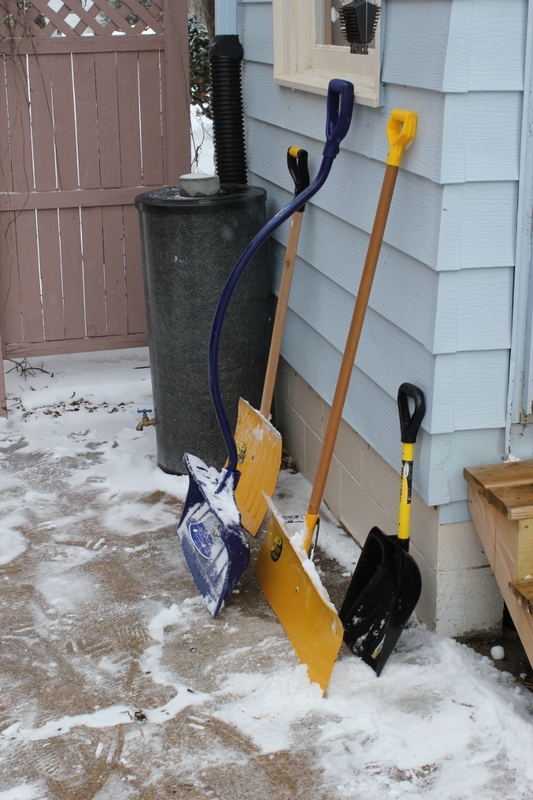 I am happy to say that with the help of numerous shovels,The Fleet, my spouse, son, and, very awesome and generous neighbor (who has a snow blower), I once again fought the urge to purchase a snow blower! This entry was posted on May 6, 2011 at 9:41 pm and is filed under Gardening, Reflections, Sustainable Living, Uncategorized. You can follow any responses to this entry through the RSS 2.0 feed. You can leave a response, or trackback from your own site. How inspiring to see what you are doing with your life. I must say that I am jealous of you – very much – for what you accomplish and the grace with which you do it. Thanks for putting all them words out there.